The gateway allows you to see data from a NMEA 2000 marine digital network on a PC, laptop or tablet PC with Microsoft Windows, Mac OS or Linux. With it, you get marine network data including vessel course, speed, position, wind speed and direction, water depth, AIS messages from vessels and aircrafts and other navigation data in PC applications like OpenCPN, Coastal Explorer, Polar View, OpenSkipper, etc. The device works as a bi-directional gateway so it is also possible to send messages from PC applications to the NMEA 2000 network. That allows, for example, sending of AIS data from a PC USB receiver to a chart plotter, as well as control over the autopilot and the vessel's other equipment. It also supports using a PC as an 0183 to NMEA 2000 converter if you have some NMEA 0183 equipment connected to one of the other PC ports. 0183. In this mode, the Device performs conversion from NMEA 2000 (binary protocol) to NMEA 0183 (text based protocol) and vice versa. NMEA 0183 is a very old and very popular protocol supported by virtually all marine PC applications. 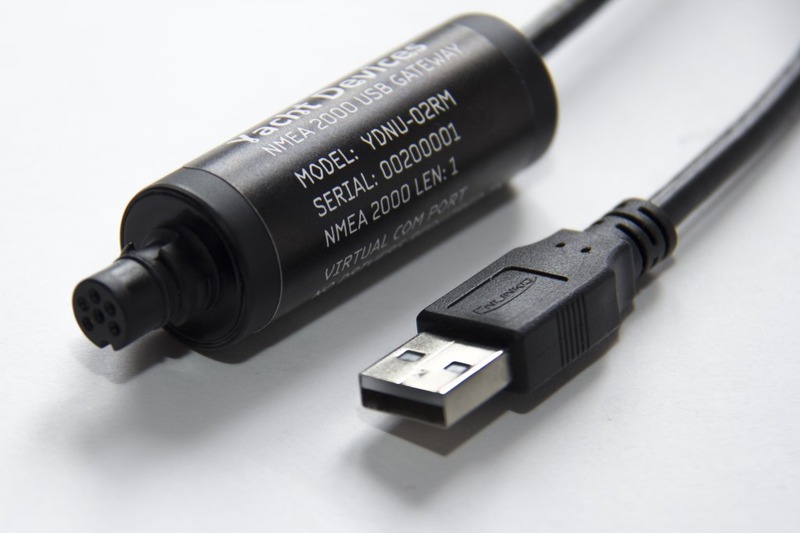 Conversion from NMEA 2000 covers all significant data, including AIS and autopilot. N2K. Device sends all messages from NMEA 2000 to PC and vice versa in a binary form and is compatible with Coastal Explorer, Polar View, OpenSkipper and some other marine software. RAW. Device sends all messages from NMEA 2000 to PC and vice versa in readable text format, similar to the format of NMEA 2000 logs used in chart plotters. This format can be useful to diagnose a network or to create your own applications. You can record messages to a .CAN file and/or monitor in real time witn free CAN Log Viewer software (Mac OS X, Windows, Linux). The recorded .CAN file can be converted to a .DAT format and processed with YDVR Converter software to convert NMEA 2000 data to GPX tracks, spreadsheets and other formats. Of course, it is not as convenient as recording data with the Voyage Recorder, but it is suitable for tests and trials, etc. AUTO. In this mode, the Device analyzes the connection with the PC application and automatically chooses one of the three modes above for the session. 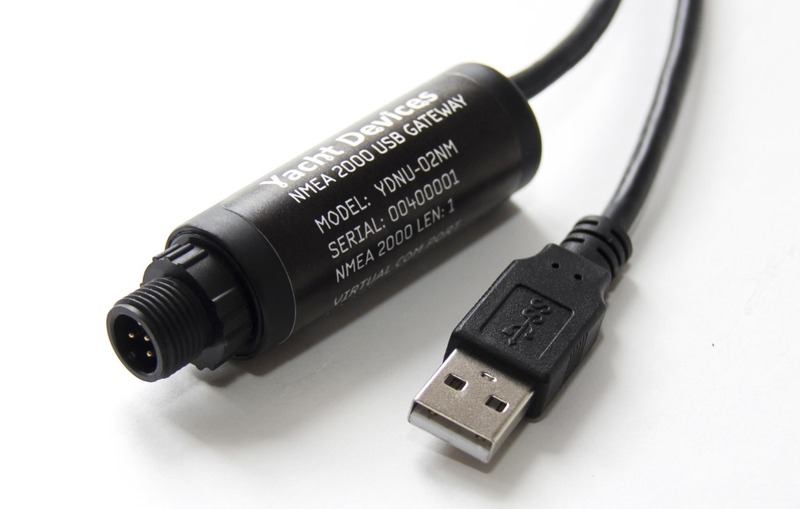 The Device connects to PC by USB cable (photos of YDNU-02NF, YDNU-02NF, YDNU-02NM and YDNU-02RMmodels) and is compatible with USB 1.1 and higher. At the software level, the Device is a virtual COM port (USB device class 2, subclass 2). In Mac OS X, Linux and Windows 10, such devices do not require a special driver; the operating system automatically uses a system driver. In older Microsoft Windows versions, you will need to install a driver. The Device does not require any special software. You can select the preferred operation mode or initiate recording of diagnostics data using an operation system command line. To update the firmware, you just need to send an update file to the Device's port with a "copy" (MS-DOS and Microsoft Windows) or "cp" (Linux and Mac OS X) command. With any terminal program, you can get access to a service menu, where you can configure filters for received and transmitted messages and tune some other settings. 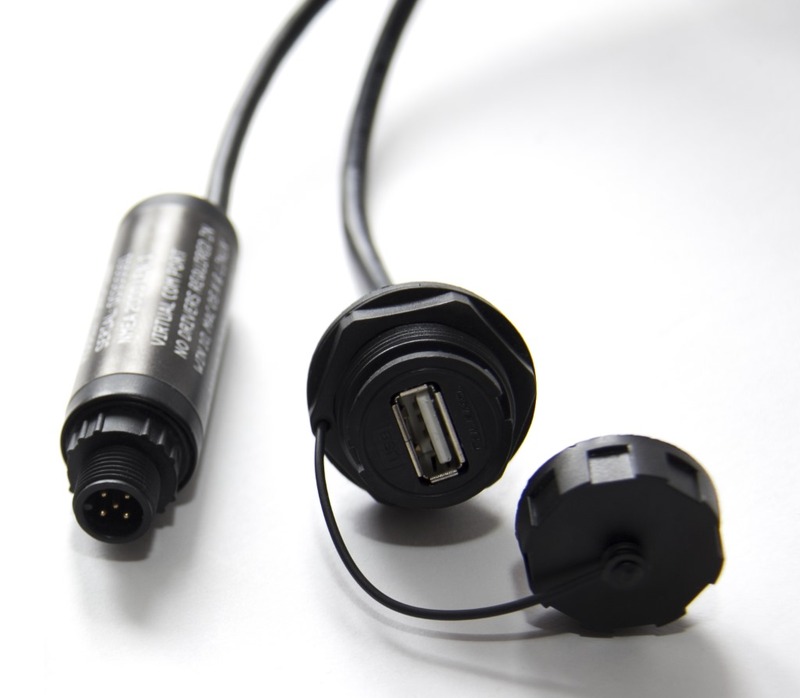 employs an IP67 waterproof USB connector (not in all models) for use outside. Gateways are equipped with high-quality USB Type A connectors with gold-plated contacts. Models containing M in the suffix of the model name are equipped with a male connector and must be used in dry place inside the cabin. These models are designed for direct connection to a PC USB port (not waterproof). Models with F in the suffix are equipped with a female connector with a protective cap and a 1/2 bayonet locking mechanism; may be mounted outside. It ensures a IP67 waterproof connection.